Have you been injured in an accident in Chicago or in the state of Illinois and are not sure what to do next? Let our family of Chicago Personal Injury Lawyers protect you. For more than three decades, the Chicago lawyers at Goldberg Weisman Cairo have been fighting for the rights of personal injury victims throughout Illinois. By utilizing the knowledge and resources that we have acquired during that time, our team of Chicago lawyers can provide the experience and dedication that is needed to litigate your claim. At Goldberg Weisman Cairo, we are dedicated to the pursuit of justice. 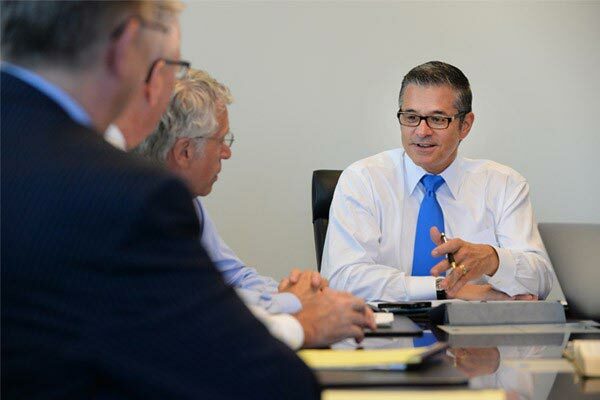 With a proven track record of success and more than $2 BILLION recovered for our clients, we have grown into the largest personal injury and workers’ compensation law firm in the entire state. A laborer suffered extensive burns over 80% of his body. A male driver sustained a traumatic brain injury after a truck from a major trucking company collided with his vehicle. An Ironworker fell from a one-story roof and was rendered a partial quadriplegic. A sheet metal worker suffered significant injuries and was eventually placed on permanent sedentary work restrictions. An electrical lineman suffered severe electrical burns at a construction site accident. An electrician was killed after sustaining burns in a switchgear explosion. A bricklayer fell thirty feet after an unsupported walking plank gave way. A carpenter was killed when he was struck by a beam after a wall collapsed. A carpenter was killed in 100 foot fall into Elevator pit. Tuck pointer suffers brain injury in scaffold collapse. Our Chicago construction accident attorneys know what it means to families when an injured worker is off the job. We are the sons and daughters of working-class families. We understand and appreciate the struggles of working people – it’s part of the history of this firm. Many of us have seen parents injured at work and have lived through difficult times. That’s certainly one reason we are committed to doing whatever it takes to get our clients back on their feet after workplace injuries.